1. 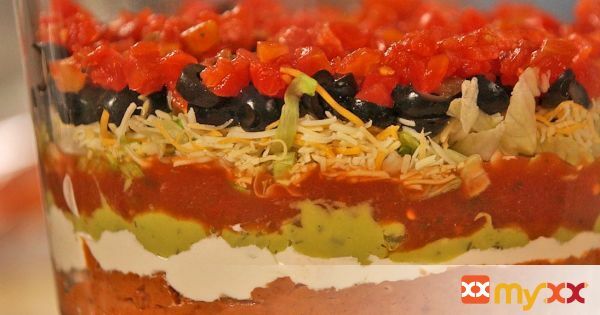 Layer in this order: refried beans mixed with the taco seasoning, sour cream, guacamole, salsa, lettuce, cheese, sliced olives , diced tomatoes. Serve with tortilla chips.